I’ve finished my degree! Woo! This past week has been a bit of a blur of working so I didn’t really post as much as I’d want to because my brain couldn’t take any more time looking at the screen after working on the project. This post was originally going to be done on Friday, so tomorrow it’s going to be the post that was meant for today, hopefully anyway. Most of this order arrived a while ago, I posted about the one album in my August favourites post and I’d had it about a week then so that shows you when they arrived. 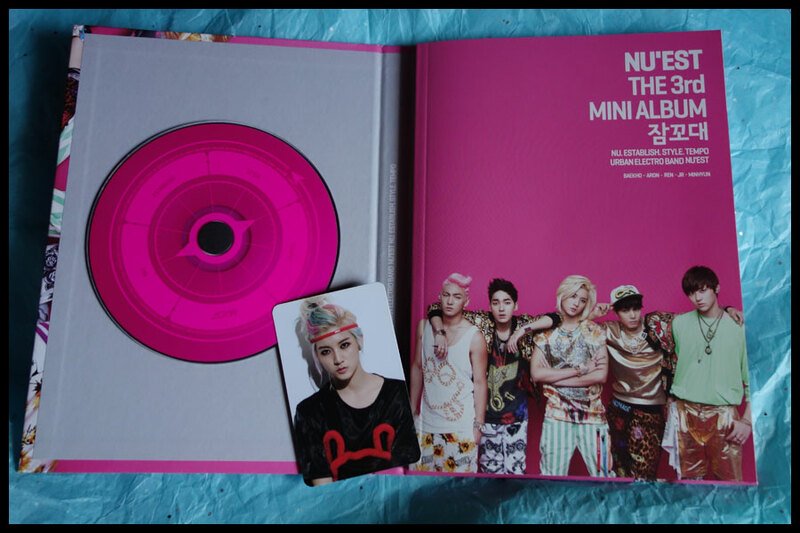 I made the order from KPopTown.com at the beginning of August, the first part with the two albums and the two beauty bits arrived three weeks later which seems like a reasonable time to me from South Korea to the UK. 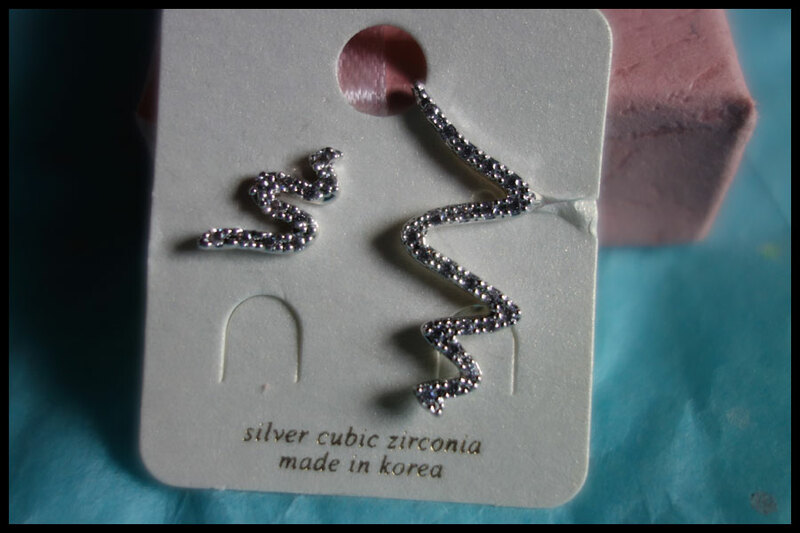 They sent me an email about the earrings not being in stock and then when they were dispatched and there was no extra postage, they took another three weeks to arrive and everything was very well packaged so as far as how good they are as a store I would definitely recommend them. I did have a bit of a look around to see what other people said about them and they seem pretty positive and a good price for postage to the UK, which I’ve found a bit of a problem with a lot of the sites that American bloggers seem to recommend. Either that or they didn’t have the albums I wanted. This order was mainly made for the albums and the other things I added because I wanted to try them and see what they were like. 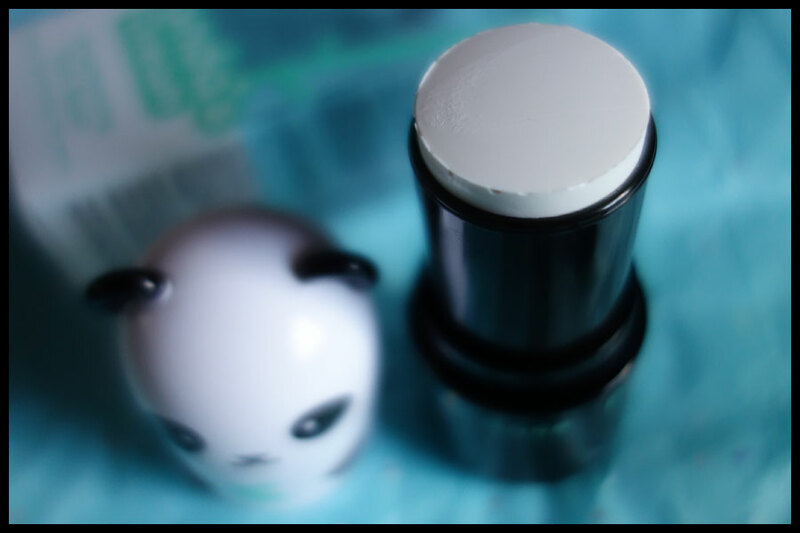 The first thing I’ve wanted to try for a while is the TonyMoly Panda’s Dream Brightening Eye Base. 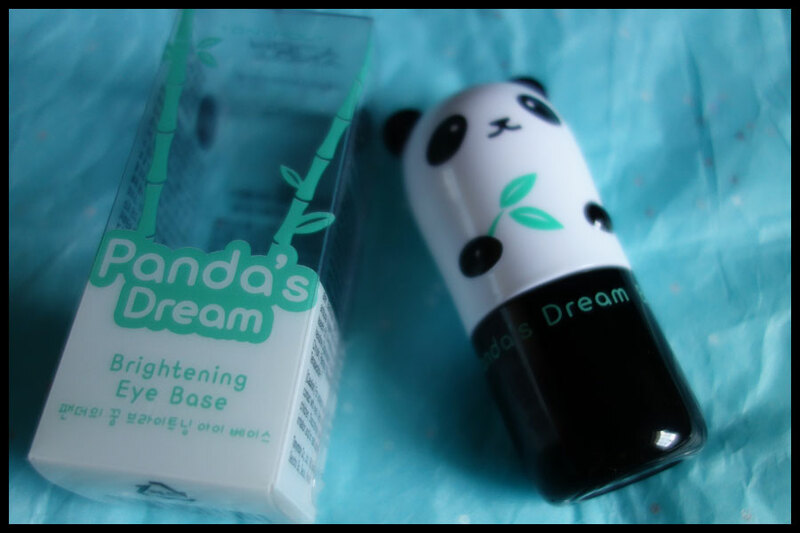 There’s a lot of Panda’s Dream products by TonyMoly and most are whitening products which I really don’t need considering how fair my skin is anyway but I do have dark under eyes and I just wanted to see how well this would work, plus the packaging is cute. It’s a nice stick that you twist the bottom to get the product out and I can’t wait to try this in different combinations with my concealer as it is very pale and seems to have decent coverage. This cost £4.25 ($6.24) and can be found here. At the moment I am using my TonyMoly Appletox face cream every day and my skin is looking better than it has in ages so I decided I wanted to get some of the other skincare bits. 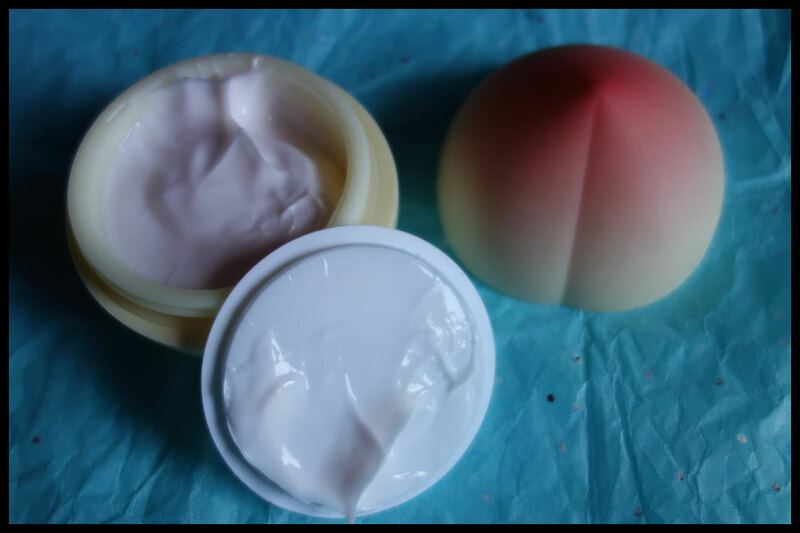 Unfortunately the Appletox was sold out at the time and most of the others as they had some in a sale but they did have this Peach Anti-Aging Hand Cream on offer at £2.67 ($3.92) and I thought I’d give it a go. I did kind of get pulled in by the packaging a bit but I do like their product quality and it’s so cheap if it works as a hand cream then that’s good. The only thing to be aware of is that the sale items, or at least this one, are that price because they are beyond their best before date. It’s still totally fine, I’ve used it and I do really like it, and if it works I’m not bothered by the date but I know that some people are so something to look out for if you’re going to buy from there. The earrings are the things that arrived separately and came in one of the plastic bag envelope things you get though they were well wrapped in bubblewrap and in the pink card box which is pretty sturdy and I’m going to keep in case I want to use it for earrings for someone else. I love the style that quite a few of the earrings on the website have where one is a fairly standard size stud and the other is a longer one with an open hoop that you slide around your ear a bit further up and it holds it in place. 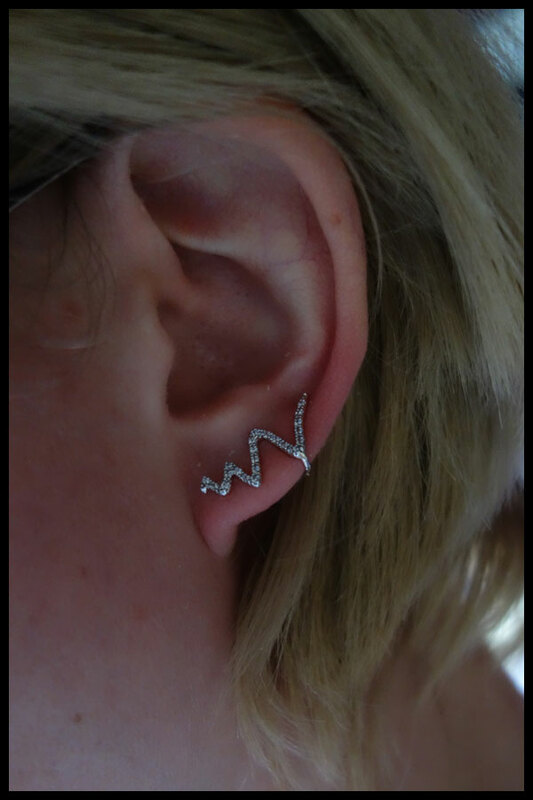 These Curve Line Earrings cost £9.46 ($13.90) and come in gold or silver. They have cubic zirconia, though I’m not sure what metal the earring is. I think the silver means the colour rather than that it’s made of sterling silver but they don’t look like the plated metals you get in cheap earrings so maybe they are. 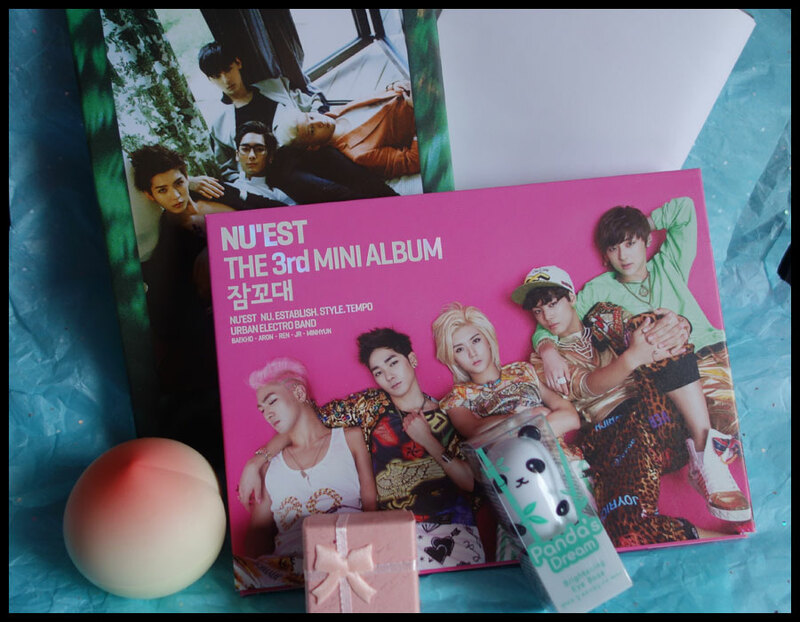 The two albums I got were from Nu’Est, a band that I’ve only found recently and I love their songs. I’m not sure what it is about them and I’m not really a fan of a lot of boy bands recently, I still love ones I listened to growing up but I have others I would go for first. For some reason I have rediscovered my love for K Pop in general after finding these guys which is great for my music collection but not so much for my bank balance. The two albums I got from here, or should that be a mini album and a full album, are Sleep Talking (£7.28/$10.70) and Re:Birth (£8.64/$10.70) though I’m not sure how they have different prices in pounds but the same in dollars. I think if CDs in the UK or America came with the packaging that these do then I would be buying more physical CDs, I still buy a few but the detail and the amount of photos and the look of these is so much nicer to me than the plastic cases you get with most CDs. Overall I am definitely impressed with what I’ve got, though I knew what I was getting with the CDs, and would recommend the store to buy from if you want a range of Korean things. 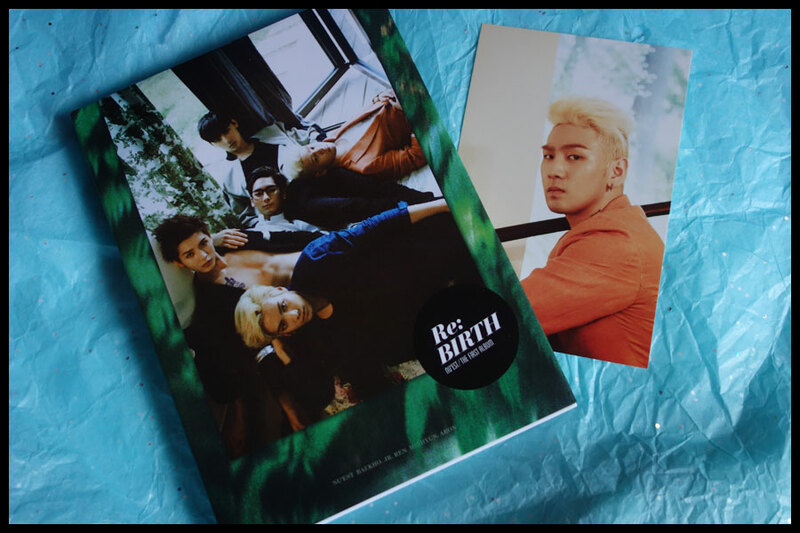 I like how they have the beauty and the music or DVDs, I can just get everything from one place. I may already have another order planned when my face cream runs out and it’s back in stock on there. Does anyone else buy from Korean online stores from the UK who could recommend any others to try out? These prices seem good compared to a lot I’ve seen but I’m mainly finding reviews by American bloggers so can’t really judge postage as a lot of them seem to have an American warehouse too.